In August there was a storm in English language newsfeeds worldwide. 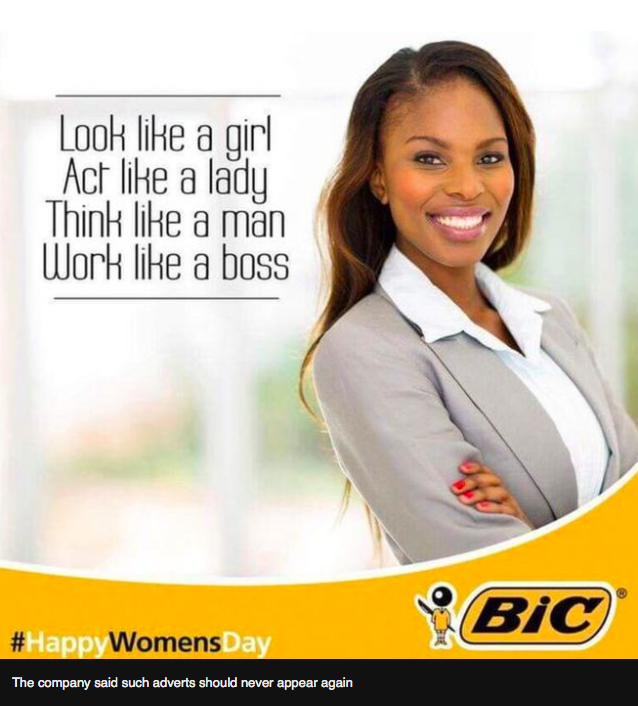 It was over a tweet by Bic Stationery in South Africa that urged women to ‘look like a girl’ and ‘think like a man’. You may have seen it. It set the twittersphere alight with complaints. 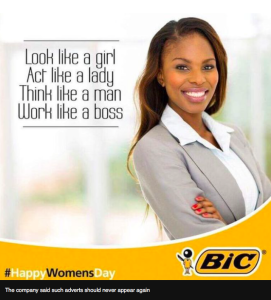 At first Bic tried to explain that its intentions were good, but soon issued an unconditional apology: “We’re incredibly sorry for offending everybody.” What Twitter readers hated most about Bic’s message was the suggestion – especially on South African Women’s Day – that women need to imitate men if they want to succeed. At the same moment, Sport England was re-running a campaign based on the barriers women create for themselves. #ThisGirlCan aims to inspire more women to take up sport. Its strategy: to liberate them from the judgements that hold them back from exercise. Its research found that women (more than men) fear that physical exertion makes them ugly and ridiculous, so the campaign turned the effects of exercise (sweat, wobbling fat) into a source of inspiration. It’s debatable, of course, whether barriers to exercise (or anything else) are created by individuals. Another perspective is that women make their own excuses, but really their thinking is shaped by their context. The superficial reason may be laziness, but the cultural influences explain much more. Decades of catwalks and advertising have turned one kind of female body into an ideal, so it’s not surprising that women struggle to see that a healthy body is not the same thing as the ‘perfect’ body. Aspiring to be healthy is practical for every woman. Aspiring to be twig-thin is not. Many think: if the ideal is impossible, why even try? This Girl Can has had its critics, but it expresses a truth many women have recognised: 9 million Youtube views, 300,000 Facebook likes, 80,000 Twitter followers, 25 million campaign views in total. 4,000 partners (like fitness clubs) have adopted the campaign. And, although no marketing money has been spent outside England, the campaign has struck a chord with women around the world; not only among anglophones but also in Vietnam, Brazil, Columbia and elsewhere. Changing how women and men see themselves is more than a single campaign can achieve, but many are trying. A British website, everydaysexism.com, gathers countless examples of prejudice so normal it has become almost invisible. 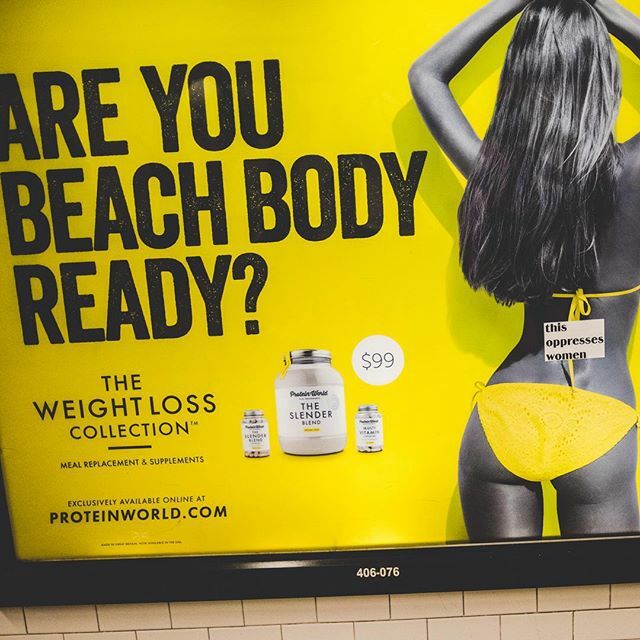 In New York a group of feminists has been adding ‘This Oppresses Women’ stickers to advertising posters that show women as sexual objects. This time last year HeForShe was launched at the United Nations – a ‘solidarity movement’ to persuade men to help women achieve equality (defined as equal rights and opportunities). ‘Inside her pretty little head’ is a book by two British advertising women, Cunningham and Roberts. The title is an ironic reference to the expression ‘Don’t worry your pretty little head about this’, traditionally used on women by men. Ironic because the book argues that 80% of purchase decisions are made by women. Failing to understand what they want is therefore very expensive. Deep insights from research do three things for a campaign. They help ensure it will be relevant; they provide the truth to which everyone on the team returns when they have doubts; and they give them the bravery they need to let go, because after all brand is a social property at least as much as a commercial one. Success begins when consumers adopt a campaign as their own. Many tweeted that the Bic poster must have been created by middle-aged men. In fact both the Bic team and the one behind This Girl Can had a good gender mix. But the commentators had a point. 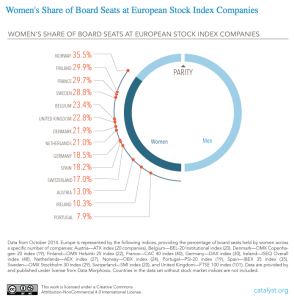 In European companies the split between men and women employees is close to 50:50. But in their leadership boards women are nowhere near representing their half of the population: 23% in the UK (up from 12.5% in 2010 and now over 25%),19% in Germany, according to a 2014 report by Catalyst. At the top is Norway (36%) which believes that quotas are necessary. Others, like the 30percentclub, prefer to play a long game so that organisations see the logic of gender balance for themselves. And this logic is increasingly supported by research. See, for example, ‘Women. Fast Forward’ by EY/Ernst & Young. The smartest firms don’t embrace equality to look good. They embrace it in order to grow. Gender balance is not the endgame. A board with few or no women is a sign that the company may not be fishing in the biggest possible talent pool. But effective teams require more than a good mix of men and women. The endgame is a culture where the most robust campaign ideas can emerge. And that is more likely when everyone’s beliefs inside the client’s and agency’s organisations can be tested by colleagues who don’t think in the same way. Only the best thinking can make us see the world with fresh eyes and question what we have long assumed to be true. Next post: VW: will it contaminate ‘Made in Germany’?